After we get through those random ramps, we’re 1.75 miles from the I-295 exit. 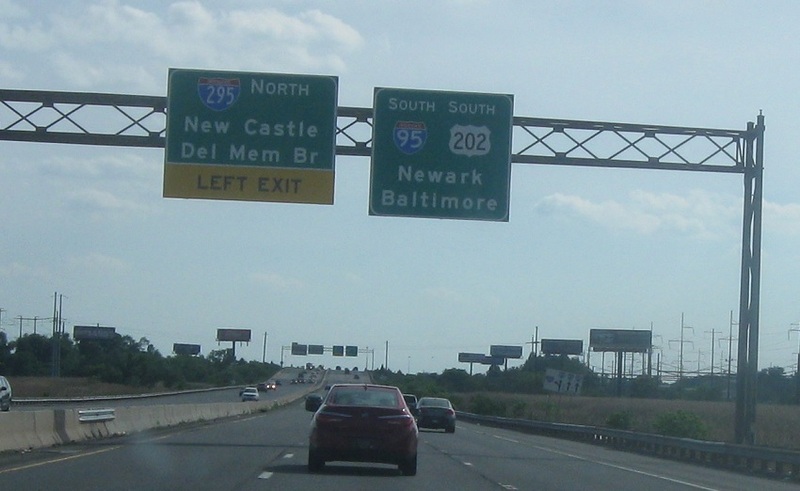 I-295 will exit left. There isn’t actually access to I-495 from I-95 south. Copy of the previous sign. 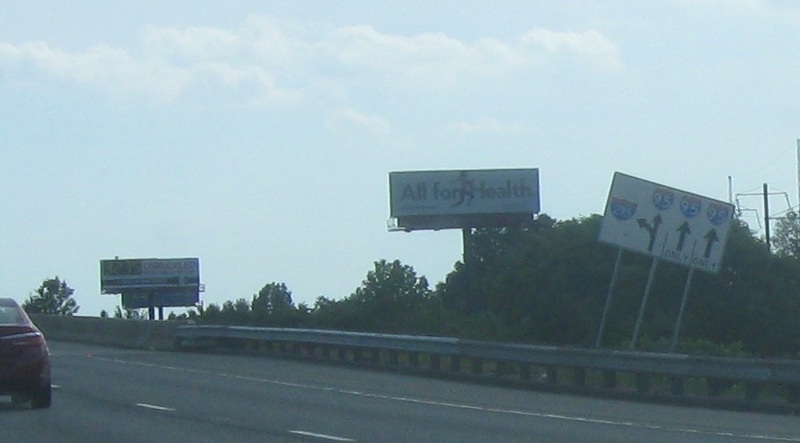 Keep left for I-295. 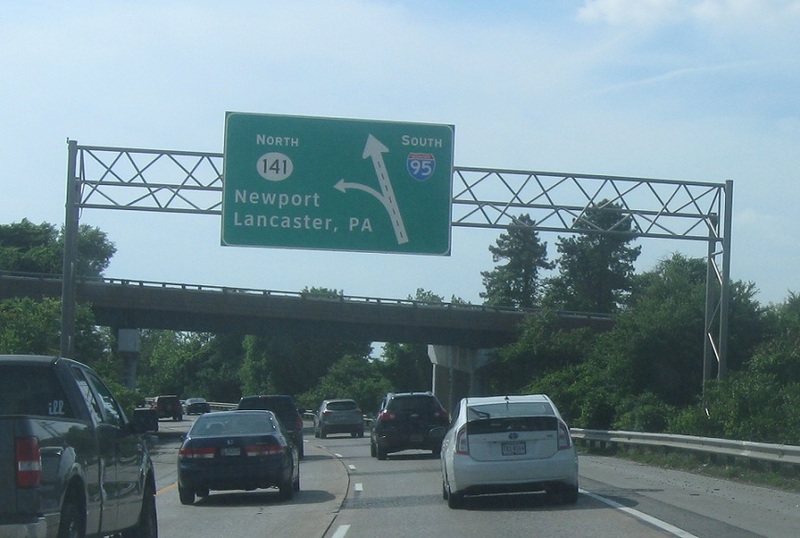 We’re 2.5 miles from DE 141 and the US-202 split, but this interchange is so drawn out and convoluted that it is actually connected to this one. We’re five miles from DE 1 and DE 7. 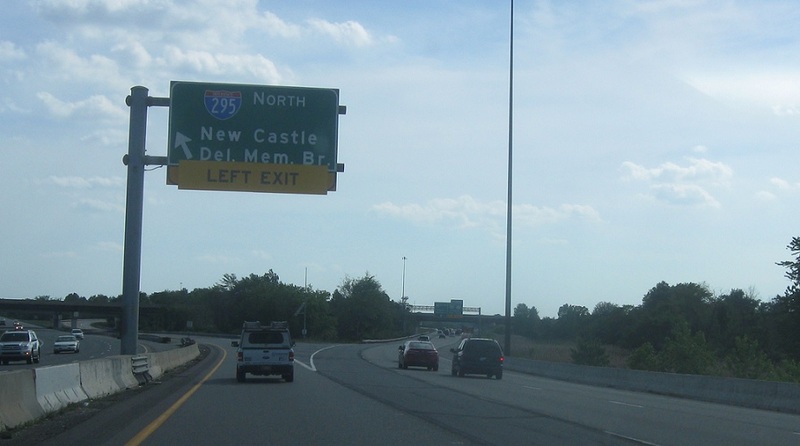 Exit left for I-295 north towards the Del Mem Br and New Jersey. 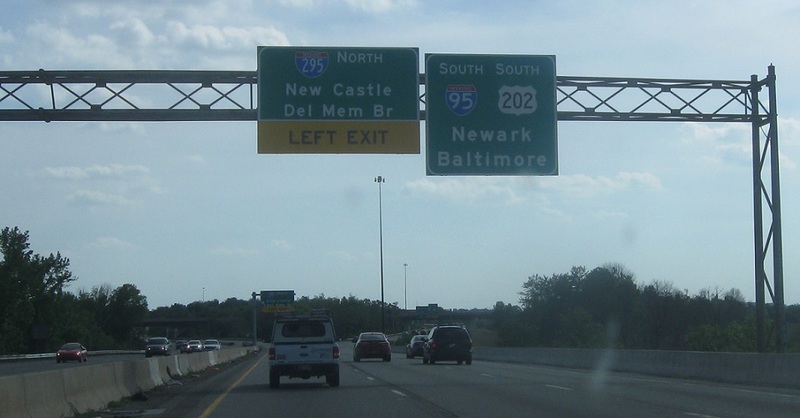 Exit left for 295 north. After that, we’ll want to exit left for DE 141 and US-202 south. 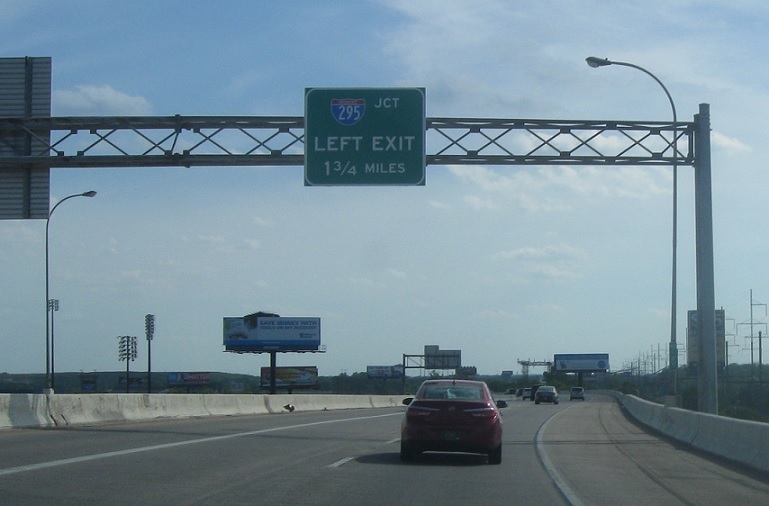 Exit for DE 141 north. 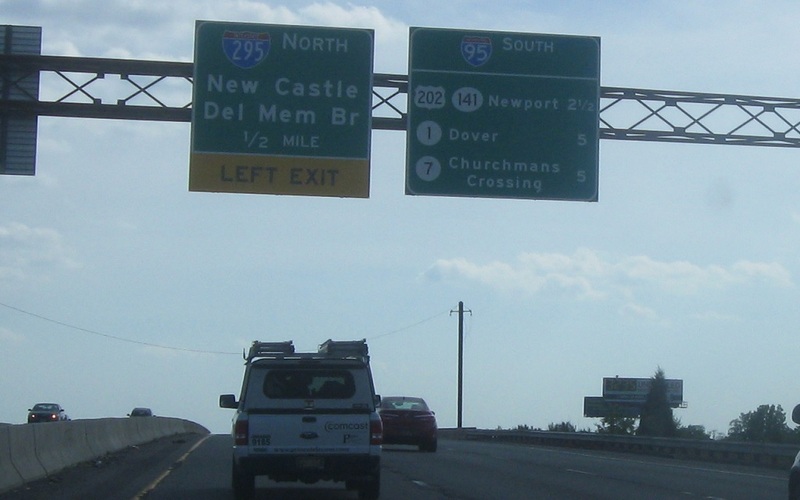 Keep right for I-95/Delaware Turnpike south. 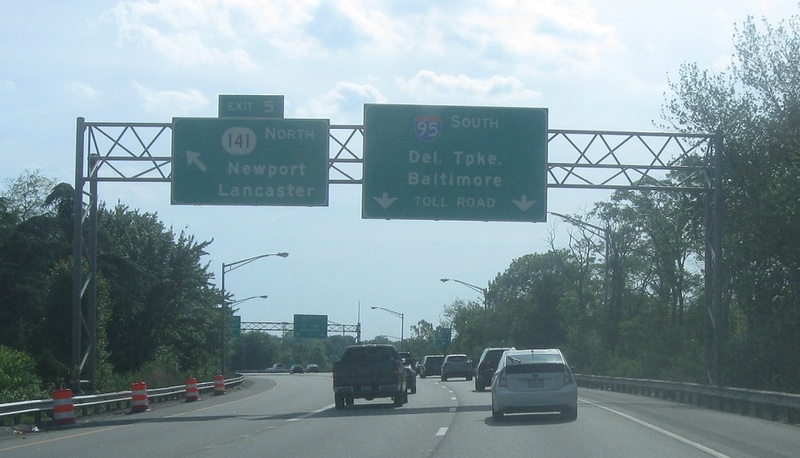 Exit left for DE 141 north. 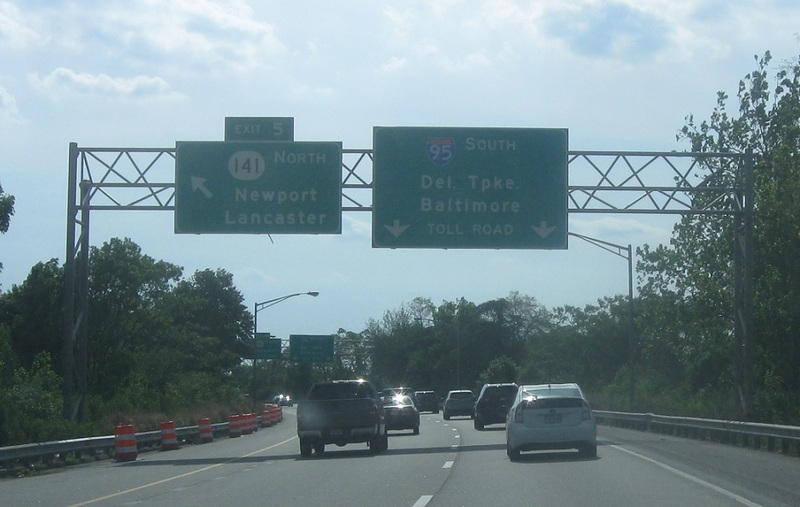 Exit left for DE 141 north. 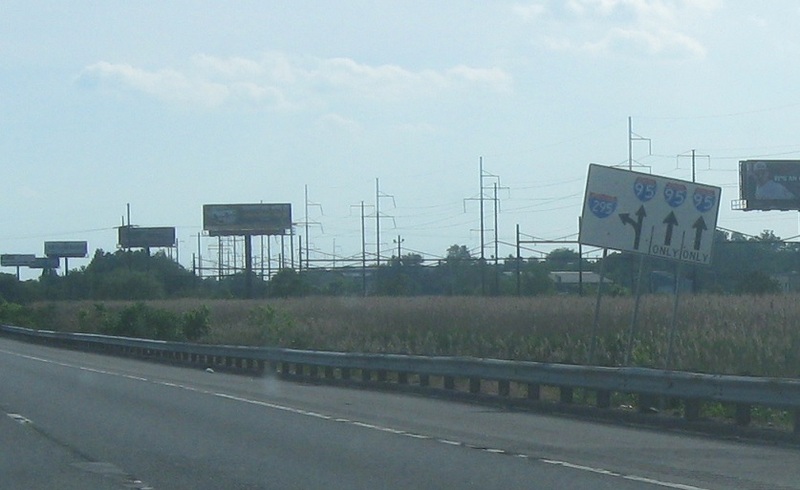 There is access to DE 141/US-202 south from here, but not via these lanes.